In just over a month, the freshmen in the 115th House of Representatives will face their first congressional re-election. With the House adjourning through the November elections, we took a look at which freshmen were able to successfully pass sponsored legislation through Congress in their first term and which freshmen introduced the most legislation. 13 freshmen members have enacted legislation during the 115th Congress—seven Republicans and six Democrats. 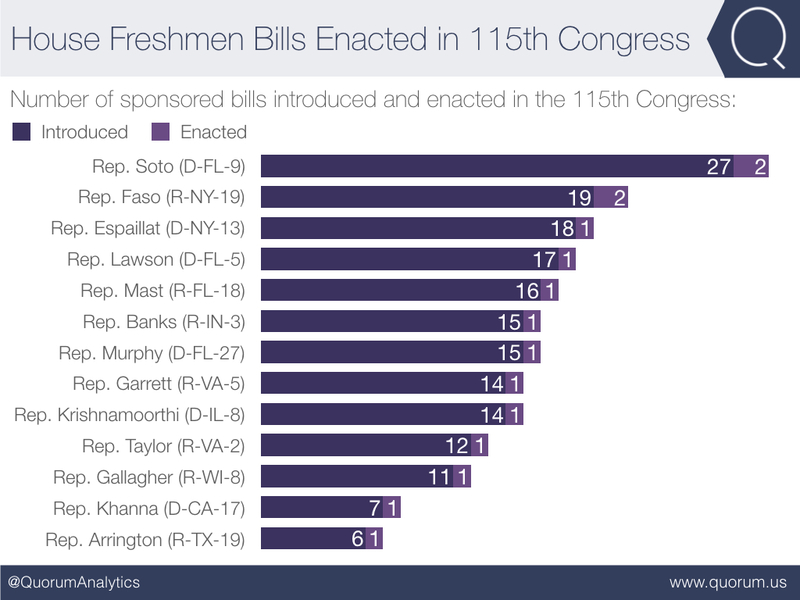 Of the 13 freshmen who have passed legislation so far during their time in Congress, nine of the 13 have introduced more bills than the average freshman member in the 115th Congress. Just four—Reps. Scott Taylor (R-VA-2), Mike Gallagher (R-WI-8), Ro Khanna (D-CA-17), and Jodey Arrington (R-TX-19) have introduced fewer bills than the average freshman. The average House freshmen has introduced just under 14 bills this term. Commish. 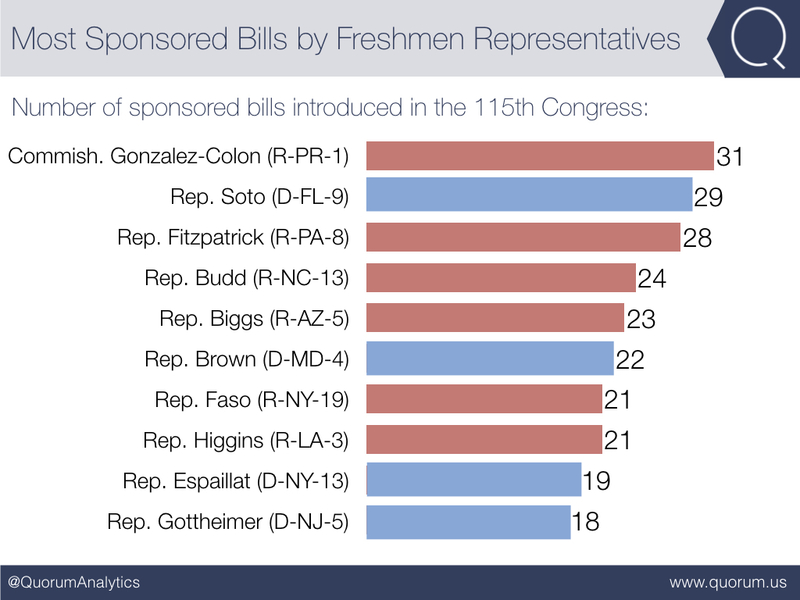 Jennifer Gonzalez-Colon (R-PR-1) and Rep. Darren Soto (D-FL-9) have introduced the most bills of their class.